A before and after using the Adjustment Brush on the buildings. What is the Adjustment Brush? 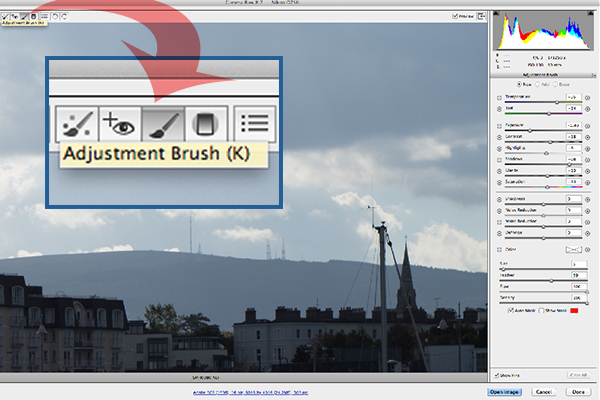 The Adjustment Brush is an editing tool in Adobe Camera Raw (known simply as ACR). This tool is possibly the equivalent of the Dodge and Burn tools in Photoshop. So what is dodging and burning? To dodge is to lighten and to burn is to darken a specific area. When you make your initial global adjustments of a RAW file in ACR, more than likely, you will need to make local adjustments too. 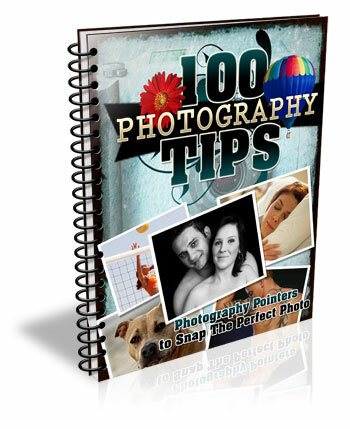 This is where the Adjustment Brush is useful for making adjustments to specific areas of your photo. Recently, I have found I am using this tool more and more. If I am out and about just shooting for my own library, I tend to take photos slightly underexposed. This way, I can recover a lot of detail in the post editing stage. This is useful if you don’t have time for metering the shot perfectly, especially in the case where skies are involved. The Adjustment Brush isolates a specific area by masking it, similar to using layer masks in Photoshop. When you click on the Adjustment Brush icon, the right panel changes to the Adjustment Brush tab. The bottom sliders modify the size of the brush and you can also determine how much feather and density (flow) you wish to apply. When you use the Adjustment Brush on a particular part of your image, a pin icon appears to determine where your adjustment has just been made. The Adjustment Brush is located at the top left of the dialog box. How the Adjustment Brush looks when in use and the Pin icon which determines where on the image the adjustment has been made. These sliders adjust the size, feather and flow of the Adjustment Brush. I do find using the Adjustment Brush a bit cumbersome. But this tool definitely has its merits. Like most of the editing tools in ACR, Photoshop, Lightroom, etc., there is simply no one-click button that magically does it all. You may find with a bit of practice using the Adjustment Brush that it could speed up your editing workflow. Take for example this image that I shot of some blue containers on a pier. I made the basic adjustments in ACR. I then used the Adjustment Brush in several areas: to lighten the sky; to keep the highlights on the small white boat on the left from being blown out completely. I also used the Adjustment Brush on the wood section to give it more warmth. Several areas where the Adjustment Brush has been used as shown by the Pin icon. The Graduated Filter in conjunction with the Adjustment Brush is a great combination. It behaves in a similar way to a Graduated Neutral Density filter. I use this filter on skies, then use the Adjustment Brush to mask areas that I don’t want the Graduated Filter to effect. Broad local adjustments lightened or darkened. Speed up your editing workflow as you may not need further adjustments in Photoshop or Lightroom. Works really well in conjunction with the Graduated Filter tool. Cumbersome and sometimes awkward to use. 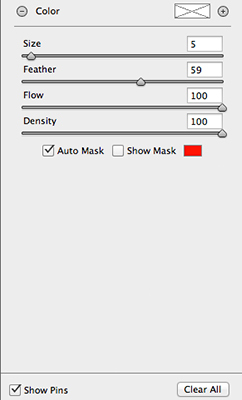 More refined detail is better done in Photoshop using layer masks where you have more control. 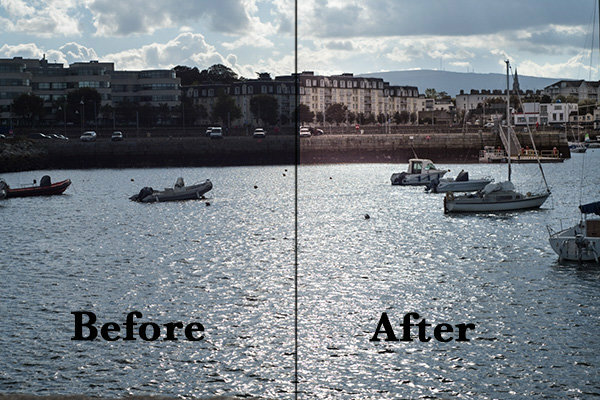 A fantastic feature in Photoshop CC is that Camera Raw is now a filter. However, if you are using previous versions such as CS5/6, a substitute workaround is before you open your image from within ACR to Photoshop, make sure you open it as a Smart Object. You can do this by holding the Shift key and the Open Image button changes to Open Object. Or you can have this option ticked in Workflow Options. This is a pop-up dialog box located by clicking on the link at the bottom of the ACR screen. That way you can go back into ACR by double clicking on the layer. By using the Adjustment Brush on just the buildings, I was able to recover a lot of detail. The post Using the Adjustment Brush in Adobe Camera Raw by Sarah Hipwell appeared first on Digital Photography School.